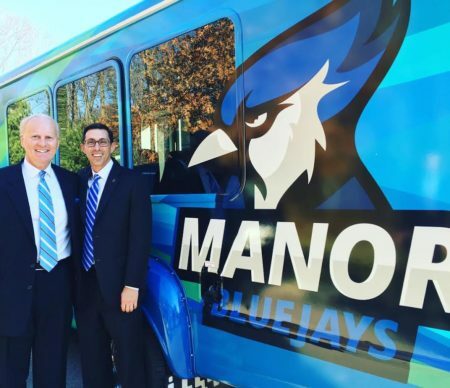 President of Manor College in Jenkintown, PA, Jonathan Peri, has successfully defended his 250 page dissertation titled, “Non-Traditional Pathways to the Presidency in U.S. Higher Education: A Collective Case Study” from Eastern University. Previously, President Peri received his Juris Doctorate (doctor of laws) from Widener University and his Bachelor of Arts in Theology from Villanova University. While graduation ceremonies at Eastern University are upcoming in May, Dr. Peri has completed all necessary steps and may use the Ph.D. designation. His doctoral discipline is formally titled as: Organizational Leadership with an Education Concentration. 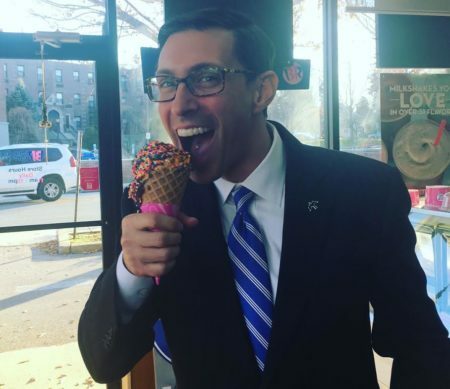 Of course our administration had to cheer Dr. Peri on and celebrate his accomplishment with some ice cream! In case you are wondering, Dr. Peri ordered pumpkin ice cream with rainbow sprinkles. While having two doctoral degrees is incredibly rare, we believe the probability of someone having a Ph.D. and a J.D. is even more rare. 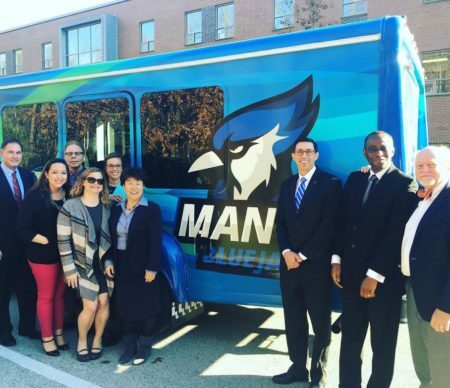 Thanks to verification from one of Manor College’s recently retired mathematics professors, Manor’s Marketing Office was able to calculate just how rare President Peri’s achievements are. We believe the global likelihood of someone being a Ph.D. and an attorney with a J.D. is 0.00054% of people. These numbers are, of course, estimates. Some reliability is present, but there is very limited data known about double-doctors. This may be another reason why President Peri is a true pioneer in higher education leadership. He is setting a great example for Manor’s students to achieve remarkable goals in their own lives. Dr. Peri with Dr. Duffett, President of Eastern University. Congratulations President Peri, the entire Manor family is incredibly proud of you!